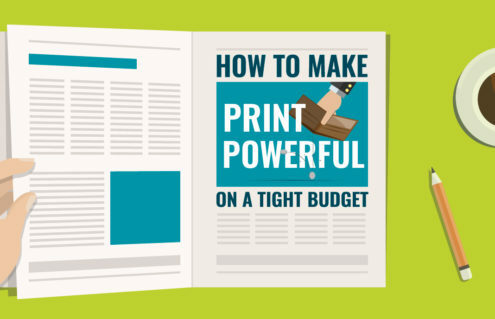 Where does print fit in the 21st century? Sooner, not later, it needs to radically re-invent itself to remain relevant as a primary play in the media mix or, at the very least, as a much needed income source for publishers. To date, most of the changes so far have focused on reducing operating costs and downsizing editorial product, while discounting rates on what has increasingly become much more valuable – digital content – simply to shore up a print buy. That seems to be a short-term, short-sighted solution. It certainly won’t save publishing’s sacred cow. Which brings me to some of the questions media buyers are asking today: Why continue to buy print if editorial continues to report on the news that happened weeks ago? Why does controlled circulation even make sense if readers don’t see enough value in a magazine or newspaper to pick it up and read it? No matter what BPAs claim? No matter what the demographics show? Do readership studies provided by publications truly reflect what’s happening out there? Those reports are becoming harder and harder to believe and defend. Why? Just ask yourself this question: When was the last time you thoroughly read the print version of a trade publication when the digital edition had already been released? Where do we go from here? In my opinion, publications need to fundamentally change their editorial product. We’re finally starting to see evidence of it now, although the pace is glacial. For example, is it possible to create and sustain a highly prized weekly intelligence report with thought-provoking and engaging content? Content that doesn’t rely solely on advertising? Content that attracts readers willing to pay for better information? Information that is critical to their needs and success? Will readers be willing to pay? Or, is there some other hybrid solution out there? Those publishers who are digging deeper and pounding the streets more for relevant and impactful content will be the winners. By the way, if you haven’t aggressively ramped up your digital media allocation this past decade, you’re either totally out of touch with what’s happening, or in total denial! Where do we go from here? Share your thoughts with us on Facebook and Twitter. As a long-time strategic planner and hands-on buyer of print media, for a wide range of B2B and Ag clients, Connor Flynn has witnessed not just the progression of media buying, but also the evolution of the print media industry – from general interest consumer and trade magazines used in the days of mass media to the consumer-driven messaging and analytics of digital and social networking. Here’s a unique perspective from one who has lived it during the past 45+ years.